Will LeBow, Steven James DeMarco, Steven Barkhimer, Christopher James Webb. 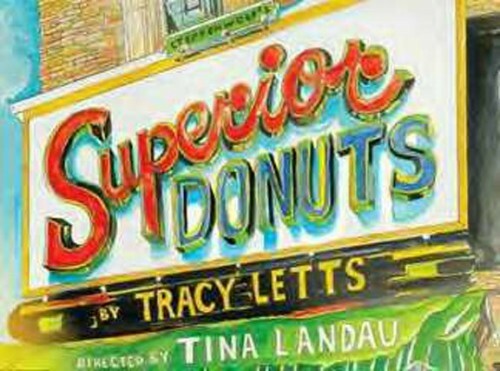 Symbolically, the play opens with the vandalism of the 50s style Chicago neighborhood donut shop, Superior Donuts. The unreconciled hippy Polish-American owner, Arthur Przybyszewski or Arthur P. has not arrived yet. The police are there as well as the Russian next door neighbor, Max. An old, alcoholic, bag lady barges in for her morning donut sugar hit. The cold wind of winter blows upon the rather shabby, desolate old fashioned family-owned business now vandalized by perhaps neighborhood punks or an angry ex-employee. Nothing is taken but dignity. Starbucks has moved across the street and gregarious Max wants to buy the business to expand his electronics company. Officer Randy (Karen MacDonald) has an unrequited crush on aging, disconnected, poneytailed Arthur (Will LeBow). Officer James (De´Lon Grant), Randy's down to earth partner, is also a Starwars fanatic. 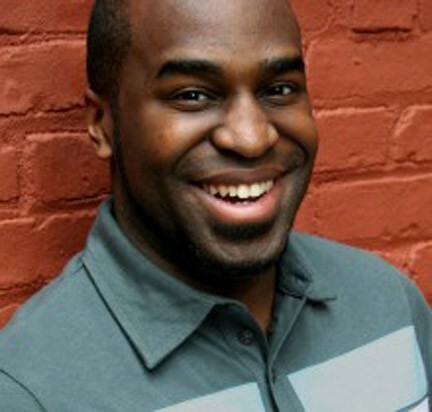 A boastful, clever and aggressive young black man, Franco (Omar Robinson) appears applying for the assistant's job in the donut shop. At first, Arthur does not know quite know what to think of this guy, but soon hires him. Franco wants to turn the shop into an entertainment venue. Arthur is reluctant to change anything. His family has owned Superior Donuts for 60 years. The personal issues of reaching one's potential, moving beyond the hand delivered to you, and dealing in various ways with addiction are all integrated into the narrative. Arthur's own story of literally running away from life and then returning if not heroically triumphant but at least finally confronting his demons is the drama's arc. Like with some donuts to add taste and character, the drama is sprinkled with humor and wit. 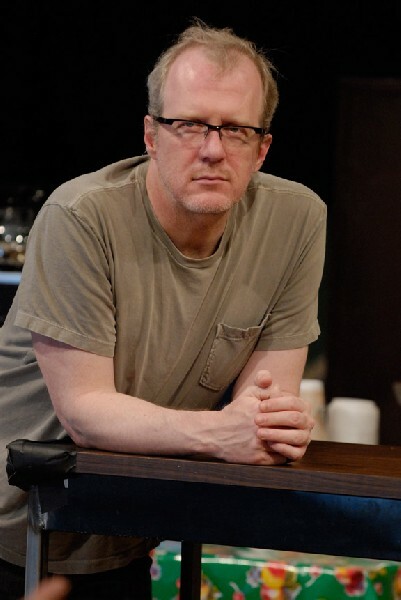 In Superior Donuts, veteran actor Will LeBow (Arthur Przybyszewski) may have given his best performance of a distinguished career. Natural and poignant, his reading of the role could have been cartoonish or a charactature, but was instead a richly nuanced rendering of a lost soul's life and personal redemption. Bravo and bravo Will LeBow. Karen MacDonald played an Irish-American working class Chicago cop with all the gusto and sensitivity that the characterization required. Her performance is also pitch perfect. With Omar Robinson's Franco portrayal, a star was born. Inhabiting the persona of a street-savvy idea man full of overconfidence and human frailty, this actor demonstrates an acting range that is special in one so young. De´Lon Grant's Officer James Bailey was a natural portrayal of the various facets of the individual. Steven Barkhimer's Max Tarasov was so realistic a characterization that he appeared to be actually Russian. The whole cast rang clear and true. The wonderful quality of this play is a comedy/drama symphony of the playwright Tracy Lett's insight and wordsmithing along with the harmonius adroitness of the director (Spiro Veloudos) and the talented cast. 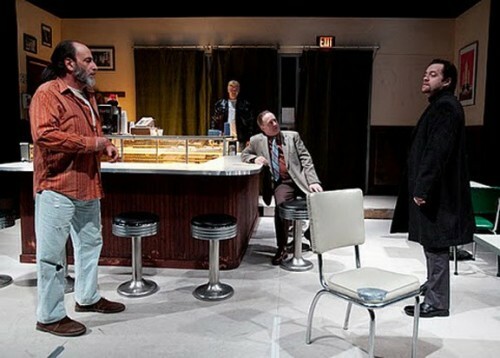 By the way, the set by Matthew Witton and lighting by Shawn Boyle were superb as well. 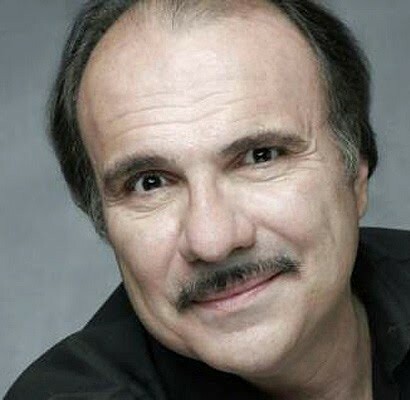 Superior Donuts looks at contemporary and historical issues of politics, race, deteriorating neighborhoods, immigration and personal responsibility. All of these weighty elements are balanced sentively and even deftly. Besides gravitas, Superior Donuts also has taste. This is about dramatic cakes as mouthfuls of life. This is must see theatre.